This is a Onsen Ryokan at the lake cape of Biwa Lake. 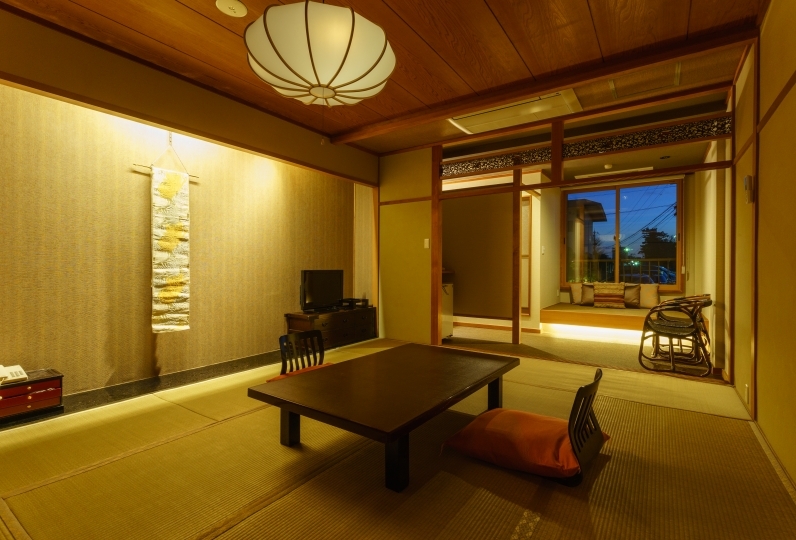 Ryokan Yuzanso is known for the beautiful morning glow and sunset that surrounds the Biwa lake. There are various rooms like rooms with outdoor spas with folk craft furniture or rooms with outdoor spa and Kotatsu built into the floor. Please choose the room that fits your style of vacation. The food served is some Creative Cuisine Japanese food that is made with local products, and cooked by the top chef that has trained in long established restaurants in Kyoto. We have used local vegetables that are grown in the vegetable garden inside premises or from contracted farmers nearby. Please enjoy the food while talking to your friends or family. Please enjoy bathing in the baths that has hot spring water from Ogoto Onsen. 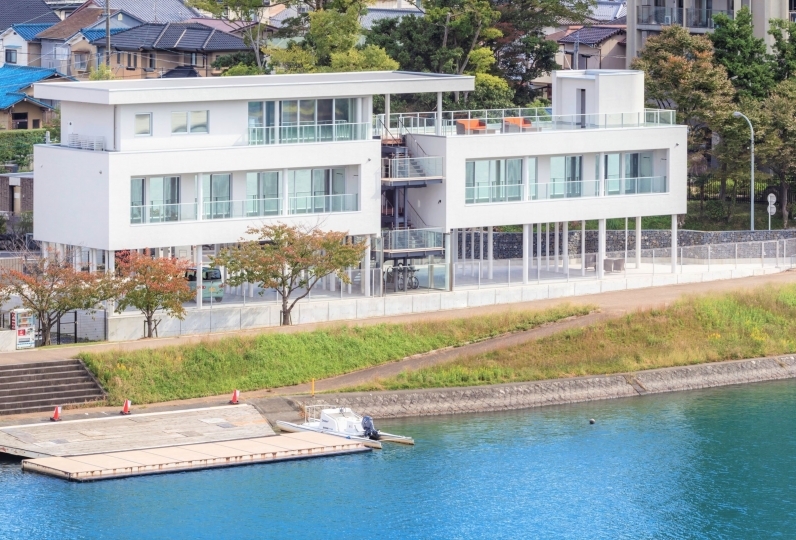 There are a variety of spas, like an open outdoor spa, Jacuzzi and a tub made out of Japanese cypress. Please spend a comfortable time at Yuzanso. Wash the towel and attach the towel to the hair~ Thanks. The room was very nice with superb lake view! I asked for the upper floor, thank you for your hope. The morning bath that I entered in the open-air bath in the room was particularly pleasant. How long have you been preparing dinner? I think there would be an appetizer, or I could bring it at a very quick pace, so I hope I could have eaten a little more calmly. But other than that point, everything was delicious. The employees were also friendly people and it was fun to communicate. It is a bath, but the shower in the large public bath is a bit too warm even if it is twisted up to Max (for both men and women), so I think I should repair it. The hot spring water was pleasant and I was happy when I took a bath. It was a good trip. Thank you very much. I used it for a wedding anniversary trip that also served as a tour of the West Bound 300. Thank you for putting a celebration carnation in the room. I was happy. 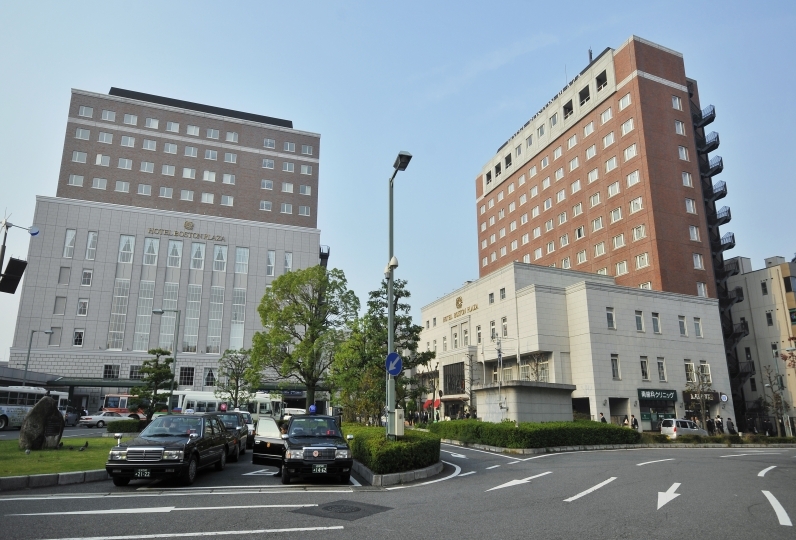 Ryokan with more than 100 rooms was used for the first time in a long time. It was a big inn so it was a bit far from the room to the bath, but the bath was also clean and easy to do. Even those who responded at the time of meal could feel relaxed and liked with a simple feeling. The view of Lake Biwa was good in the room on the 8th floor and the feeling of opening was good and the mood was also good. Just in the bathroom in the room was an open-air bath and there was no in-the-bath so it was cold in the washroom. Cooking was asking for a dish of the course "wisdom", but it was not as expected as expected. Although it was gorgeous, is it a dish for the whole group of customers? I felt that. "Yuzu chilli" which I bought for souvenirs was delicious. 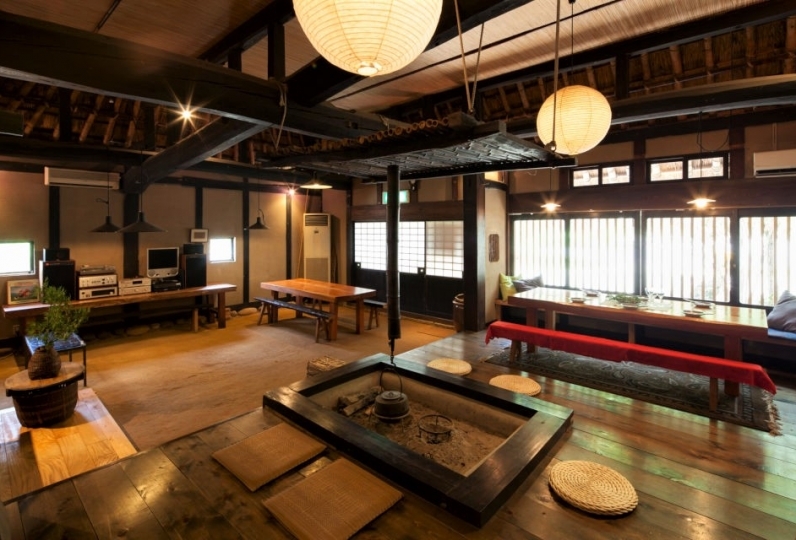 The public bath at the Ryokan is themed of old stories of Oumi. The onsen water from "Ogoto Onsen" is known to be effective for Neuralgia and beautiful skin, is some soft chill water. 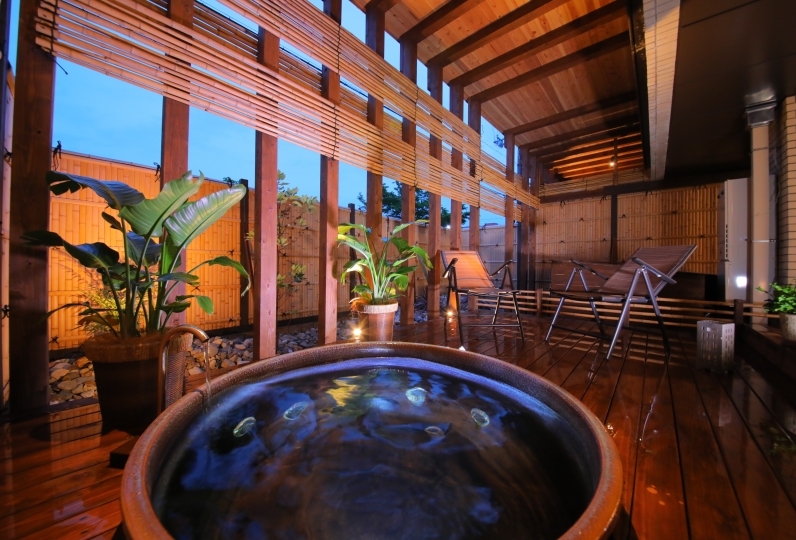 The outdoor spa consists of: Utaseyu (streams of water falling in the tub), Jet spa and Jacuzzi. You can see Biwa Lake through the trees from the outdoor spa. Other than that, there are hot saunas and bath tubs made out of Japanese cypress outdoors. Meals will be served at the restaurant or the banquet hall, a place specified by the hotel. Please inform us if you will arrive later than 18:00. Please be aware that if you arrive later than 20:00 we will not be able to prepare your dinner. If you are paying at the hotel, please pay by either cash or credit card. You cannot use any gift cards. Approx. 20 mins from JR Kyoto Station by Kosei line. Get off at "Ogoto Onsen Station". The shuttle bus will be approximately 3 minutes. ※ Please contact us when you arrive at the station.